This year, GSV made an effort to learn more about other districts to begin to understand common interest and needs of Colorado Schools. In doing so, we visited Tollgate Elementary School in Aurora and Elizabeth School District. In January, Grassroots St. Vrain joined Great Education Colorado on a school visit to Tollgate Elementary of Aurora Public Schools. Four members of the state legislature and Aurora Public School Board members were also in attendance. 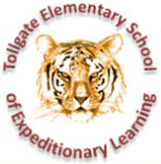 The goal was to understand the unique challenges that Tollgate Elementary has and how they have been managing these challenges, specifically by using a teacher residency program, as part of a partner program with Stanley British Primary Teacher Preparation Program. This once again validates that schools across the state have the same concerns, and the mediations of such vary. While it was very intriguing to witness such a program and its impacts, there was something even greater that stood out at this particular visit. At the end of the school tour, a great conversation took place with many vested participants: teachers, administration, board of education members, and legislators. The teachers and school principal shared their views on the many challenges they face daily – the balancing act of meeting the students’ needs with the resources they have vs. checking the box of new mandates where funding doesn’t exist. While some challenges shared were common and some unique, the deep and real passion these educators have is common across schools far and wide. Children across the world benefit from this same passion of many educators every day, it’s what makes educators just that. They are there for the students and understand that the students are there because they want to learn and create a better tomorrow. These educators want to make a difference, and they do just that. The legislators listened and encouraged the teachers to reach out to them to share what will really make a difference. We are encouraged by the legislators openness to understand and we hope that more educators do take them up on the invitation to reach out. In March, three members of the GSV leadership team traveled to the Elizabeth School district to visit schools and talk with leaders from this rural district. GSV had interest in learning about the successes and challenges unique to a rural district in the state of Colorado. We learned that Elizabeth School District has similar challenges to many districts: funding and what is the best way to meet the needs in a district where no two schools are the same. The funding impact on the district is unique in the sense that each district has to make decisions to meet their needs; the balancing act is left to the local districts and some are fortunate to pass mill-levies where others have not. On a positive note, Elizabeth School District has recently formed a parent engagement group similar to Leadership St. Vrain – in the hope of increasing the number of engaged parents that have a common interest, the future of the students. We wish them the best and look forward to hearing of their successes.